On Dec. 1, 2014, the Food and Drug Administration (FDA) published two final rules implementing the nutrition labeling provisions of the Patient Protection and Affordable Care Act (PPACA) §4205. Both rules can now be found on the Federal Register: (1) for restaurants and retail food establishments (SRFEs) and (2) for vending machines. As part of the federal effort to address the growing problem of obesity, §4205 of the PPACA established nutrition labeling requirements to inform consumers about the foods they were eating and to help them track daily calories. Although the requirements of §4205 went into effect when the PPACA was signed on March 23, 2010, the Act required FDA to promulgate regulations for the following: (1) standards to determine and disclose the nutrient content for standard menu items that are listed as a single menu item but come in different flavors, varieties, or combinations, (2) any other nutrient that may be helpful for healthy diets, (3) rules for registration of establishments that are not mandated to comply with the requirements but decide to voluntarily provide nutrition information, (4) the manner of the nutrient content disclosure, and (5) a statement on the menu or menu board explaining the recommended total daily calorie intake. The FDA also had the task of establishing the scope of SRFEs, since they were not defined in the PPACA. FDA published its proposed rule in the Federal Register on April 6, 2011. The public comment period for the proposed rule ended on July 5, 2011. For more than three years, issuance of the final rule was delayed as FDA reviewed the comments and the Office of Management and Budget reviewed the final rule. Considering the long delay and the continuing rise of obesity and other food-related chronic diseases, the release of the final rule is a welcome development. The inclusion of grocery stores in the definition of SRFEs is a big win for proponents of expansive nutrition labeling. The grocery industry and other industry groups, such as the Food Marketing Institute, have raised several challenges against subjecting grocery and convenience stores to the nutrition label requirements. The FDA addresses these arguments in the final rule, and refers to Congressional intent as shown by the legislative history of PPACA §4205 to support its decision. The final rule also covers many items that were potentially subject to exemption under the proposed rule. Calories for variable menu items (ie: soft drinks, donuts, or ice-cream that have multiple flavors) must be listed for each item or be given a range. The same applies to combination meals. Alcohol is another win for nutrition labeling advocates. While the proposed rule suggested a general exemption for alcohol, the final rule requires calorie information for alcoholic beverages that are standard menu items. The rule does exempt, however, alcoholic beverages that are “on display and not self-service food (e.g., bottles of liquor behind the bar used to prepare mixed drinks)” from the labeling requirements for foods on display. There are still a number of exemptions for other items as well, including condiments, daily specials, and temporary menu items. Furthermore, while grocery stores are covered under the final rule, the rule only applies to foods that are restaurant-type foods. 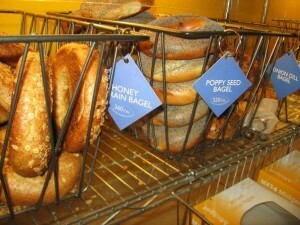 Exempt foods include items that are sold in bulk bins (e.g., dried fruits and nuts), foods not intended to be consumed in one sitting (e.g., loaves of bread), and foods sold by weight that are not self-serve and not intended for individual consumption (e.g., deli salads like chicken or potato salad). Having read about the contentious development of the proposed rules, I was quite satisfied to see the results in the final rule. The final rule covers a lot more ground than suggested in the proposed rule, which speaks to the government’s recognition that consumer awareness is critical to empower people to make healthier choices. Of course, the fact that the rule is limited to “restaurants and similar retail food establishments that are part of a chain with 20 or more locations” excludes a lot of restaurants, grocery stores, and other establishments. However, this provision was part of the PPACA §4205, and FDA would not have been able to change it in its final rule. Despite the progress of the final rule, it still remains to be seen whether the availability of calorie information will successfully encourage consumers to choose healthier options. There is conflicting research regarding the effects of calorie labeling. 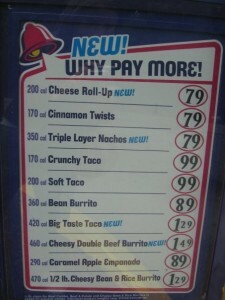 While some studies have shown that calorie labeling can influence selection of lower-calorie menu options, others have shown that consumers either did not notice the labels or bought the same foods despite the calorie postings. Even if consumers did choose lower calorie options due to calorie labeling, the benefits of their choices might be negated by the phenomenon of “compensation.” Research shows that people who have limited calories earlier in the day will often compensate for them later by eating more for lunch or dinner. By knowing exactly how many calories were saved by a certain food choice, consumers may feel more justified to eat a cookie or more food later, counteracting the health benefits of their earlier decision. Including calories on menu and menu boards may even have the undesired effect of encouraging people to buy unhealthy options. A New York health-policy researcher found that after New York’s labeling laws went into effect, people in low-income communities bought more calories at fast food restaurants. Since their “priority [was] getting the most food for the fewest dollars,” they chose the meals with the highest number of calories. Already, low-income communities have a higher prevalence of obesity. If calorie labeling proves to encourage even more unhealthy eating behavior in low-income communities, the final rule will fail to make a positive difference where it is most needed. Furthermore, focusing on calories may perpetuate the misconception that a low-calorie diet is necessarily a healthy diet. Many leading researchers of diet and obesity have argued that not all calories are created equal. Making only caloric information visible to consumers effectively places all foods on one scale where they are different only in terms of calories. Thus, consumers could receive the mistaken idea that 100 calories worth of French fries will have the same effect on weight and health as 100 calories worth of fresh fruit. Perhaps labeling sugar rather than calories might be more effective in improving public health. In the Food Law and Policy Seminar at HLS, we have discussed the excessive consumption of sugar in the U.S. extensively. As a side note, I *almost* bought a can of cranapple juice at the store yesterday. It was a typical can (11.5 fl. oz.) and had 220 calories. What really shocked, me, though, was the sugar content: 58g! I then realized that I did not even know how to interpret this information, and it occurred to me that there is no % Daily Value next to sugar. For other nutrients like fat and sodium, we can gauge how much we are consuming based on the %DVs, but we cannot do the same for sugar. 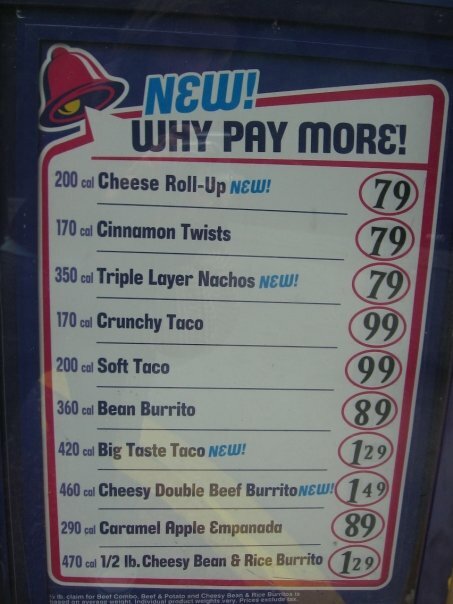 The final rule suggests that menu and menu boards state the following: “2,000 calories a day is used for general nutrition advice, but calorie needs vary.” I wish there were a similar emphasis on (or simply more information regarding) the recommended sugar intake. I had to do a google search to find that the American Heart Association advises that men should consume no more than 37.5g added sugars per day while women should consume no more than 25g per day. This makes me really glad that I chose not to get that cranapple juice! The focus on calories likely misses the actual reasons behind chronic diseases. It furthers the misconception that a calorie is just a calorie, and that being overweight equals being unhealthy. The real cause of chronic diseases like diabetes, cardiovascular disease, and hypertension, however, is not excess consumption of calories, but excess consumption of sugar and potentially sodium. Perhaps calories are the simplest way to educate people about their food choices. I hope that eventually, though, we can get to a point where we give the actual culprits center stage in the efforts to improve public health. As part of its on-going work to promote policies that reduce food waste, the Food Law and Policy Clinic partnered this fall with Professor Nicole Civita, Director of the Food Recovery Project at University of Arkansas School of Law, to analyze federal bill H.R. 4719, the “America Gives More Act.” This bill, among other provisions, would allow all businesses to benefit from enhanced tax deductions for food donations. While currently only C-corporations (often the largest companies) receive this benefit, expanding the enhanced tax deduction would incentivize smaller businesses to donate food rather than letting it go to waste. Based on their research, the team wrote a sign-on letter and collected signatures from 30 food recovery organizations and leaders from around the country to ask the members of the U.S. Senate Finance Committee and Senate Hunger Caucus to support H.R. 4719’s permanent tax provision. Americans waste an astounding 160 billion pounds of food each year, in homes, fields, manufacturing plants, markets, schools, and restaurants. At the same time, almost 15 percent of U.S. households struggle with food insecurity. 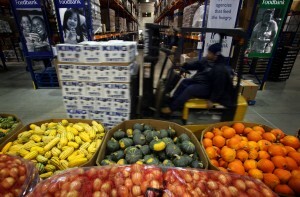 To encourage more food businesses to donate safe, wholesome food to organizations that serve those in need, the federal government should offer enhanced tax deductions for food donations not just to the largest corporations, but to farms, small businesses, independent restaurants, and other food businesses that have excess food. Without the guarantee of a tax deduction, many businesses find it more cost-effective to simply throw out excess food rather than expend the time, money, and resources to store, transport, and distribute the food on a regular basis. Indeed, leading hunger-relief organizations, including Feeding America, confirm that uncertainty regarding the tax code prevents food sector businesses from developing regular donation programs with hunger-relief organizations. By passing the food donation-related provisions of the America Gives More Act, the Senate can stand with socially-responsible food businesses of all types and sizes, food-insecure Americans, and the heroic charities and volunteers who fight hunger. 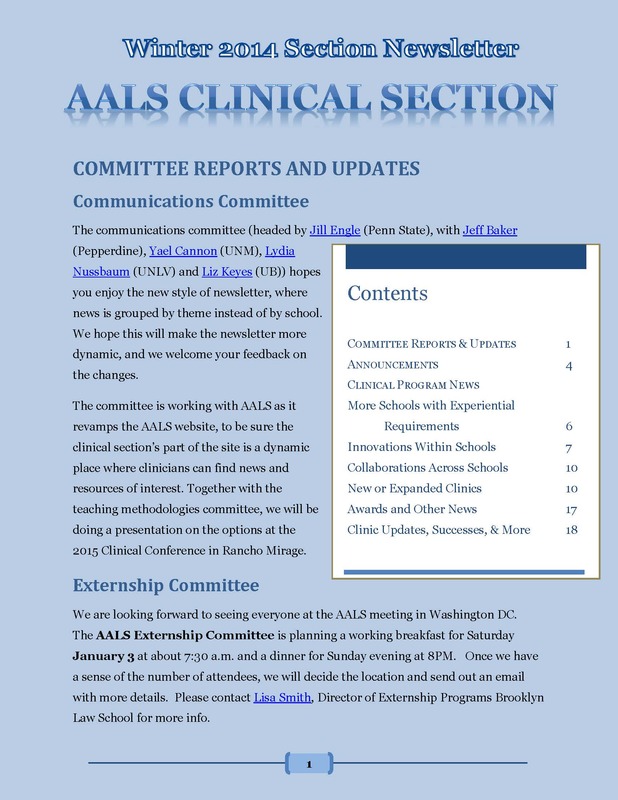 The Center for Health Law and Policy Innovation and the Food Law and Policy Clinic were highlighted in the Winter 2014 AALS (Association of American Law Schools) Clinical Section Newsletter. The Harvard Food Law and Policy Clinic is co-organizing the 2014-2015 Harvard Deans’ Food System Challenge with the Harvard Innovation Lab. The Deans’ Food System Challenge invites creative and entrepreneurial students to develop innovative ideas to make the food system healthier, more sustainable, and more equitable, both in the United States and around the world. The Harvard Center for Health Law and Policy Innovation released the national report Food is Medicine: Opportunities in Public and Private Health Care for Supporting Nutritional Counseling and Medically Tailored, Home-Delivered Meals examining ways in which public and private health care programs and new marketplace health insurance plans can support access to nutritional counseling and medically tailored home-delivered meals within their systems. This blog post was originally published on the AIDS United Policy Action Center Policy Blog on December 4, 2014. On November 26, 2014 the Department of Health and Human Services (HHS) issued a Notice of Benefit and Payment Parameters for 2016 Proposed Rule (the Proposed Rule). 79 Fed. Reg. 70674 (November 26, 2014). The Proposed Rule is important because it proposes new regulations that, among other issues, will strengthen protections regarding coverage and transparency in Marketplace health insurance plans. Encouragingly, the Proposed Rule is responsive to several of the changes advocates have been urging HHS to enact in order to ensure that ACA private health insurance plans work for people living with HIV and AIDS. While the Proposed Rule is lengthy and includes many potential changes, highlighted below are several of the most important proposed regulations relating to transparency and coverage. HHS proposes to clarify that a health plan must publish an up-to-date, accurate, and complete list of all covered drugs on its formulary drug list, including any tiering structure and any restrictions on the manner in which a drug can be obtained, in a manner that is easily accessible to plan enrollees, prospective enrollees, the state, the Marketplace, HHS, OPM, and the general public. Insurers seeking rate increases of 10% or more in the individual or small group markets for their products are already required to publically disclose the proposed increases and justify the increases. However, each “product” can encompass many plans offered by the insurer at many metal levels across the Marketplace. Therefore, even if an insurer increases the rates of a particular plan by 10% or more, it may not trigger a disclosure requirement for that product. HHS proposes instead that rate increases in individual plans would trigger disclosure, increasing the likelihood that insurers will have to disclose rate increases. HHS proposes to replace the drug count standard with a requirement that plans adopt a pharmacy and therapeutics (P&T) committee and use that committee to ensure that the plan’s formulary drug list covers a sufficient number and type of prescription drugs. Each P&T committee must ensure that an issuer’s formulary drug list covers a range of drugs across a broad distribution of therapeutic categories and classes and recommended drug treatment regimens that treat all disease states and does not substantially discourage enrollment by any group of enrollees. Issuers’ formularies must provide appropriate access to drugs that are included in broadly accepted treatment guidelines and which are indicative of and consistent with general best practice formularies in widespread use. Alternatively, HHS proposes to replace the United States Pharmacopeia standard with the American Hospital Formulary Services, a widely used drug classification system with more nuanced categories. This change would go into effect in 2017. Existing rules provide that an issuer does not provide essential health benefits if its benefit design, or the implementation of its benefit design, discriminates based on an individual’s health condition. In the Proposed Rule, HHS notes that it has become aware of benefit designs that we believe would discourage enrollment by individuals based on health condition, in effect making those plan designs discriminatory, thus violating this prohibition. An issuer placing most or all drugs that treat a specific condition on the highest cost tiers. HHS proposes to require issuers to provide most drugs at network retail pharmacies, instead of only through mail order. Issuers, however, would be allowed to charge different cost sharing if the enrollee obtains the prescription drug at a retail location. Additionally, HHS allowed that certain specialty medications may be exempt from this requirement. HHS proposes to require a standardized exception process for clinically appropriate drugs not on a plan’s formulary. The review must occur within a 72-hour period and, if granted, any cost sharing associated with the medication counts towards the beneficiary’s annual out of pocket maximum. HHS also proposes a second level of review by an independent review organization if the initial exception request is denied. As a reminder, on November 26, 2014 HHS issued only the proposed rule, and not the final rule. This means that advocates and other stakeholders have an opportunity to send comments on the proposed regulations to HHS by December 22, 2014. Individuals and organizations should not hesitate to send in any concerns they have regarding these proposed changes.